Do you need engaging, effective content writing services that put your business ahead of its competitors? The old saying that “content is king” has never been more true. As Google focuses more and more on content quality and relevance as a ranking signal, the importance of having engaging, helpful content on your website is greater than ever before. Simply put, in 2016, if you want to rank for competitive keywords, you need great content. Our content writing services are ideal for website content, persuasive sales copy, shareable blog posts and engaging, informative articles. At LinkBaits, our in-house team specialises in writing engaging content for some of the most popular and widely shared websites on the Internet. We’re here to bring this content experience to your project. Whether you need informational content for your website or content that’s purpose built to attract as many links as possible, we’re here to help. Our experienced content creation team can create engaging, effective content that’s built with your marketing goals in mind. We offer a wide range of content writing services, from sales copywriting to blog posts, informational articles and website content. Our content is designed to help you achieve your marketing goals, whether you want to convert visitors to your website into customers, attract the attention of your target audience or simply rank for your target SEO keywords with great on-page content. We work with a diverse range of clients, from large brands to mid-sized businesses in all industries. No matter who you target or what industry your business operates in, our experienced in-house content writing team can create, edit and publish the content you need to achieve fantastic results. Are you sick and tired of content that just isn’t any good? Many content writing companies focus on quantity instead of quality, churning out blog post after blog post or article after article without any attempt to engage readers or provide any useful information. Our number one goal is to help you achieve your marketing objectives through content, and the best way to do that is by writing high quality, engaging, helpful content that readers love to link to and share. Research shows that pages with higher quality, longer and more engaging content typically outrank pages with short or very little content for competitive search keywords. Our content writers specialise in SEO and can study your organic competition to research and craft content that gives you a clear, measurable advantage over your competitors. Whether you want to rank number one for your target keywords through engaging on-page content or simply want to deliver your message in a clear, easy-to-understand style, we’re here to help. Our professional content writing services put your goals first, with a focus on delivering the highest quality content possible. Working with our in-house content writing team is simple. You can either submit a brief for your project outlining your target keywords, marketing goals and content objectives, or let our experienced content team plan out your campaign with our content ideation process. You tell us your content needs and objectives, whether you need newer, more engaging and effective content for your company website or a series of blog posts designed to attract valuable links from influencers in your industry. Once you’ve approved our content ideas, our content writers will craft and publish engaging, high quality content that sets your business apart and aligns with your objectives. Our team of experienced content writers will brainstorm content ideas that help your business stand out from the competition and achieve its content marketing and SEO goals. If you would like to publish your content on your website, we can provide fully managed blogging services. Alternatively, we can promote your content to a wide audience through social platforms like Reddit and Facebook. We understand the competitive marketplace better than any other content writing company, and we’re specialists in content marketing and SEO. Whether your goal is to rank number one or attract attention through social media, our content ideation and writing process is designed to help you achieve your objectives. Our content writers have contributed to leading industry publications, high-traffic blogs and some of the world’s most respected publications. 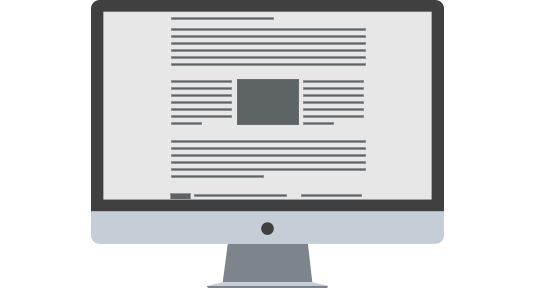 Whether you need a press release or several hundred pages of website content, we will always focus on delivering the most engaging, effective content in its category. From the legal industry to light entertainment, our team understands what makes content interesting, engaging and shareable. Whether your target audience is B2B or B2C, we’ll make sure your content is the best in its industry by a significant margin. We handle content writing projects of all sizes, from ad hoc projects to large-scale orders of hundreds of articles, blog posts, landing pages, press releases and more. Contact us using the online query form on the right side of the page to speak to the editor of our content writing team about your project and learn more about how we can help you achieve your content goals.